In March 2018, the Massachusetts Institute of Technology (MIT) Libraries hosted a working summit on Grand Challenges in Information Science and Scholarly Communication. After an open review period, the results were distilled into a final white paper, A Grand Challenges-Based Research Agenda for Scholarly Communication and Information Science, released December 18. Voting in the Association of College and Research Libraries (ACRL) election begins March 11, and members in good standing can cast their ballots through April 3. LJ invited this year’s presidential candidates, Anne Marie Casey and Jon E. Cawthorne, to weigh in on some current issues. Librarians are committed to equity of access and fostering community engagement for all. But do we provide access and engagement for a burgeoning population of older adults who experience vision and/or hearing loss, or does this population go underserved right under our noses? 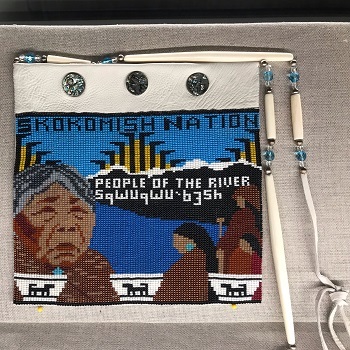 This fall, the Seattle Public Library (SPL) kicked off a partnership with yəhaw̓, an Indigenous-led arts project created to spotlight the creativity of the local Native community. It’s no secret that scholarly publishing is overwhelmingly white; 83 percent, according to the Workplace Equity Project’s (WEP) recent survey. Nor that there is a dearth of women at the top—and that there is a very real gender pay gap. 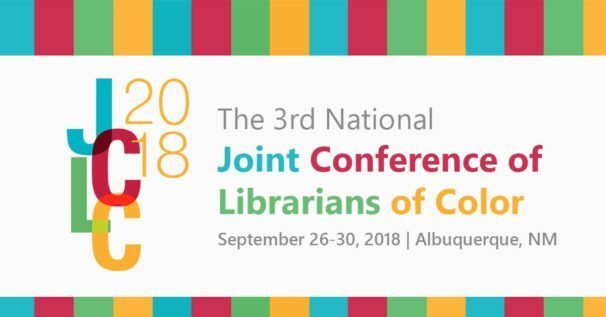 The third Joint Conference of Librarians of Color (JCLC) took place September 26–30 in Albuquerque, NM, organized by ALA’s five ethnic affiliates. 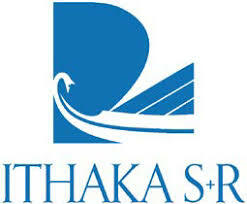 A new report from Ithaka S+R looks at eight case studies of best practices and methods for addressing institutional challenges around equity, diversity, and inclusion (EDI). While the cultural institutions profiled are art museums, the authors suggest that these studies hold relevant, and applicable, lessons for libraries. Legal requirements, the growth of dedicated positions, and enhanced technology are helping academic libraries make content accessible for all. 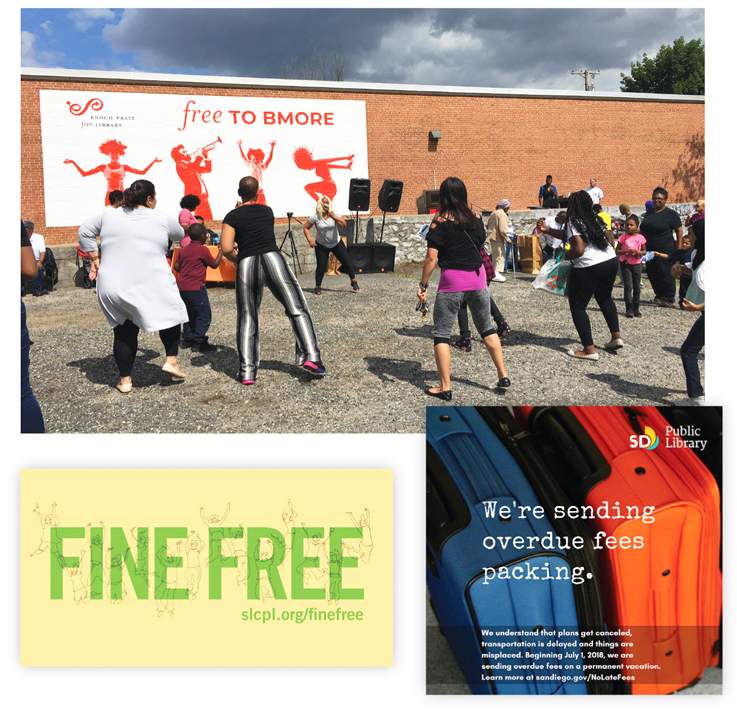 As more and more libraries are finding, eliminating fees lowers barriers while still bringing books back into circulation. As part of a broad range of initiatives and actions to address diversity, RWA released the results of its first diversity survey, conducted in April 2017, this June. 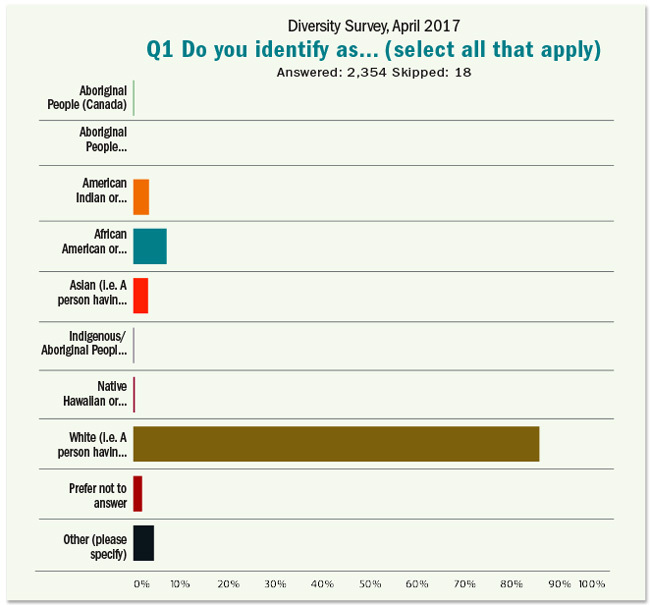 About a quarter of RWA’s members responded, showing the membership to be largely white (86%), not Hispanic or Latinx (95%), heterosexual (88%), female (97%, of whom less than .1% were transgender), and nondisabled (79%). 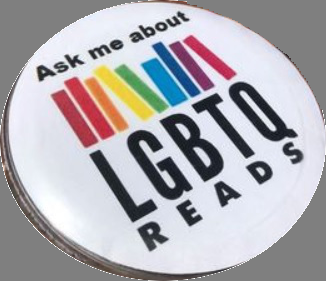 When workers at the Hurricane branch of the Washington County Library System, UT, were told to change signage on LTBTQ-themed displays and stop wearing buttons pointing library visitors to LGBTQ resources, they brought their concerns to the local press. MORE POWER TO THE LIBRARY STAFF in Hurricane, UT, who have sparked an important conversation in response to a ban on displays about LGBTQ topics. They have been fighting this decision, which contravenes the Library Bill of Rights and departs from widespread practice around raising awareness of resources for underserved or historically marginalized populations. Library core values can align with contemporary social justice issues. Library leaders who find it difficult to grasp the social justice movement need to think about how they should use their leadership to understand, if not embrace, social justice issues and the staff who support them. 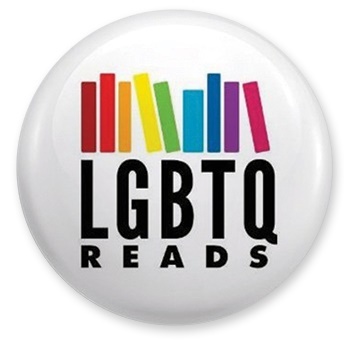 Library workers in Utah were asked to stop wearing buttons which offered to recommend LBGTQ materials this June, according to a local news outlet. Racial literacy requires critical thinking to assess situations or texts for inequalities, which is part of comprehensive information literacy skills. As society is making more of an effort to value underrepresented groups’ experiences, we need to make that same type of progress in libraries. Many people documenting microaggressions in higher ed, faced with the resultant backlash, found that their institutions were not ready to back them up. At the 2018 American Library Association annual convention, a panel titled “Bullying, Trolling, and Doxxing, Oh My! Protecting our Advocacy and Public Discourse around Diversity and Social Justice” examined that gap. It’s a growing trend: each year more library school graduates report working as librarians outside of libraries in LJ’s annual placements and salaries survey. 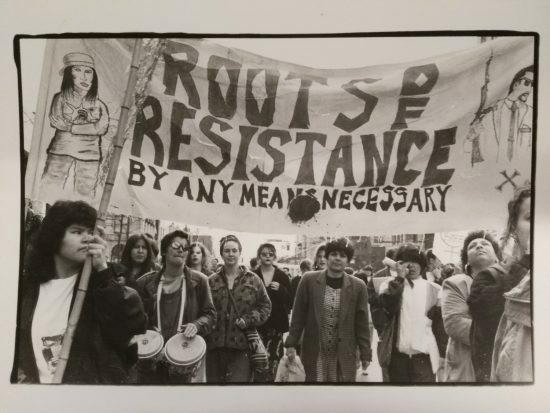 Longtime archivist, former head of the Vancouver Public Library’s history division, and queer rights activist Ron Dutton donated more than 750,000 items documenting the British Columbia LGBTQ community to the City of Vancouver Archives in March. 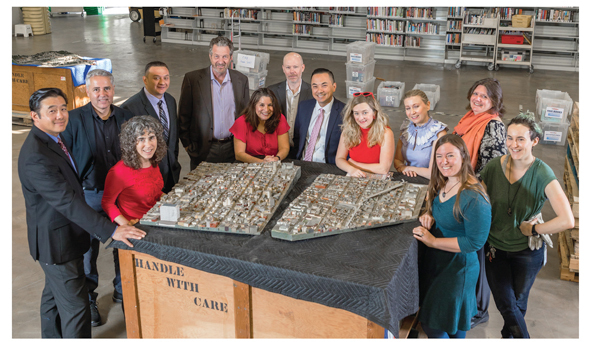 A model and inspiration for public libraries worldwide, the San Francisco Public Library (SFPL)—with its committed staff, transformational leadership, amazing array of programs, partnerships, popularity, and community connections—is the 2018 Gale/LJ Library of the Year. The Aurora Public Library (APL), IL, took down a controversial poem displayed at its Santori Public Library that appeared to express anti-Muslim sentiment and violence against Muslim women. The poem’s author, George Miller, professor and chair of the philosophy department at Lewis University, Romeoville, IL, stated that it was written as satire and not intended to be anti-Muslim. For many attending the Public Library Association (PLA) 2018 conference in Philadelphia, the biggest challenge was simply getting there, thanks to an early spring Nor’easter that dumped snow from Washington, DC to New England on Wednesday, March 21. Just under 6,000 public library professionals and supporters registered to attend in person, with 1,821 exhibitors signed up as well. The 2013 acquittal of George Zimmerman for killing Trayvon Martin broke Angel Tucker’s heart. 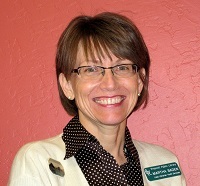 Then a young adult librarian at the Central branch of Kansas’s Johnson County Library system, located in the metropolitan Kansas City area, Tucker teamed up with a library committee led by civic engagement librarian Louisa Whitfield Smith to host a public, deliberative dialog about the controversial ruling. Jennifer Ferretti has been a digital librarian for more than ten years at various institutions. A fine arts graduate from Maryland Institute College of Art (MICA), she returned to MICA in 2015 to lead digital initiatives. “I never wanted to be a librarian,” says Ferretti, because “I didn’t know what librarians did. I never had a librarian I connected to and never met a Latinx librarian.” A supportive internship supervisor at the Smithsonian (2007–08) and a strong community on “librarian Twitter” changed that. If those who do not learn from history are condemned to repeat it, Andrea Blackman may have found one way to inspire learning. As division manager for the Nashville Public Library (NPL) Special Collections and director of the library’s Civil Rights Room—in charge of documenting the local history of the civil rights movement in one of its key cities—she has initiated an ambitious effort to meld the library’s unique holdings into a curriculum for change. Whether she is tweeting her latest collection find, speaking to the New York Times about diversity in romance, presenting at professional conferences, or pushing libraries to purchase self-published (indie) books, collection development librarian Robin Bradford constantly campaigns for readers’ needs. How did April Hathcock go from corporate litigator to librarian? “I was working away on multimillion-dollar suits every night when I noticed the law librarians, who left at a decent hour, did much of the same research I did,” she says. “I realized I could do…the information wrangling I loved without [working] myself to death.” Now, as scholarly communication librarian at New York University (NYU), Hathcock still does legal work, helping with copyright or intellectual property research, library contracts, or access and rights issues. “But it’s combined with the values of librarianship,” she says. 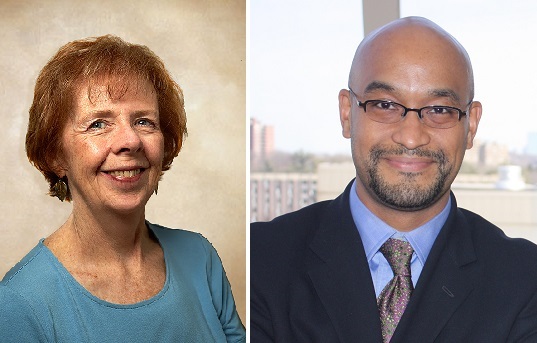 One of the newest courses on offer at the Massachusetts Institute of Technology (MIT) is “MIT and Slavery,” collaboratively taught by Steven Craig Wilder, Barton L. Weller Professor of History, and Nora Murphy, archivist for reference, outreach, and instruction. The undergraduate class will focus on researching MIT’s historical ties to slavery and the slave trade, as well as the role the slave economy played in other American engineering and science institutions. Recent graduates are experiencing faster placements and earning more money than last year’s, this year’s snapshot of the job market suggests. The average full-time salary for employed 2016 graduates is $51,798, up 7.45% over 2015. The average hourly wage was $19, which translates to an annual salary of almost $40,000. This year we explored whether graduates had been exposed to working in a library prior to enrolling in an LIS master’s program. Dig through these tables to discover the details about where 2016 LIS grads are landing jobs, at what salaries, and in what kinds of roles, or see the full feature for all the analysis. LJ offered 51 accredited library and information science schools in the United States the opportunity to participate in the survey. If you are a faculty member or a director and your school did not respond fully, now is the time to get started on the next survey. Update: According to a FOIA request submitted by the Chicago Tribune, EPL will pay Williams $110,000 as part of her severance. The agreement carries a stipulation that neither party will pursue legal action, but does not include a confidentiality clause. 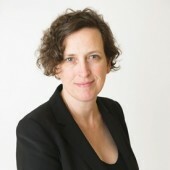 Following two disciplinary hearings, a suspension, a FOIA request, and years of conflict with the library director and board, Lesley Williams, former head of adult services at Evanston Public Library (EPL), IL, announced her resignation on June 29. Deepa Iyer discussed the hostility directed at Muslims and advised librarians on ways they could make a difference. Libraries of all types are reevaluating the role they play in their community, questioning whether it is still good enough to provide equal access, or if it is time to pursue an active equitable access that focuses on empowering the less powerful and amplifying the voices of the unheard. On May 3, Barack and Michelle Obama joined a crowd of approximately 300 Chicago community leaders at an invite-only forum to unveil renderings for the OPC and answer questions. "It's not just a building. It's not just a park,” the former president told the assembled crowd. “Hopefully it's a hub where all of us can see a brighter future for the South Side." In early 2017, a call for chapter proposals began circulating on library Listservs for a forthcoming book titled Tolerance: Social Justice and Activism in Libraries, Moving Beyond Diversity to Action. The aim of the book is to discuss how librarians can take diversity, social justice, and social change to the next level and promote tolerance in libraries. As a librarian, scholar, and educator who specializes in issues of diversity and social justice, and how to integrate them into LIS pedagogy and education, I was instantly taken aback by the use of the word tolerance. Tolerance and diversity are not words I regularly put together; in fact, I view them in opposition to each other. Ahmed Alwan and Joy Doan are research, instruction, and outreach librarians at California State University, Northridge (CSUN). 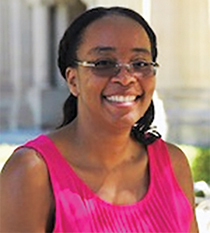 A discussion of Jaena Alabi’s work on racial microaggressions in academic libraries led them to consider other intersectional microaggressive instances in that environment—in particular, status-based microaggressions experienced by academic librarians in their interactions with non-librarian teaching faculty. From that conversation, their Microaggressions & Academic Libraries project was born. 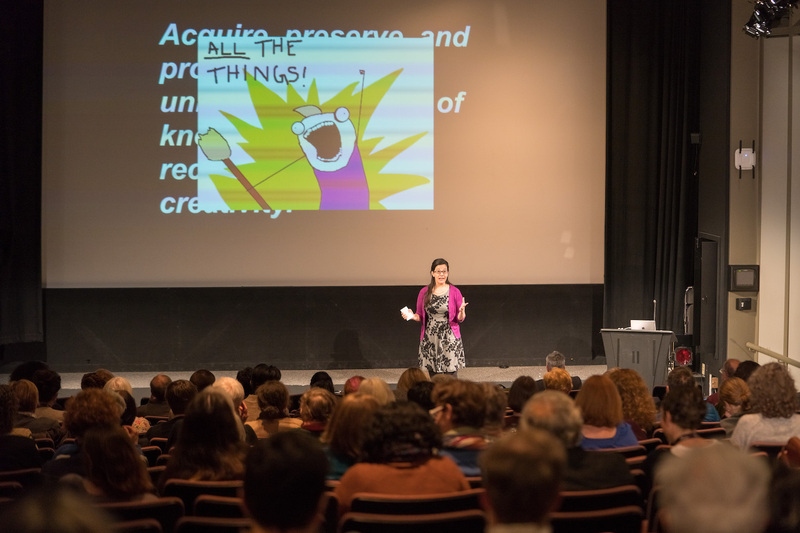 The 2017 conferences held by the Association of College and Research Libraries (ACRL) and Electronic Resources & Libraries (ER&L), in March and April respectively, covered trends ranging from diversity to emerging technology. When Jamillah Gabriel, African American studies information specialist and the manager of the Black Cultural Center Library at Purdue University, IN, realized that there weren’t many book box subscription services that focused on African American literature—and those that did were targeted to children and young adults—she decided to start her own. In summer 2016 Gabriel launched Call Number, a monthly literature subscription box for adults featuring works by non-bestselling black authors. The Dwayne McDuffie Award for Diversity, now in its third year, is named for the man whose influence on the comics industry is still being felt. Just two years after she immigrated to the United States from the Dominican Republic, Patricia ­Pacheco landed a library assistant position as the first bi­lingual staff member at the Sterling Branch of the Loudoun County Public Library system in Virginia. She had been a kindergarten teacher for nearly 20 years and had dealt with children of all ages in her home country. Early on in her time in the States, she volunteered part time in the Ashburn Library of Loudoun County. So when the Sterling branch announced that it sought a bilingual staff member, Pacheco applied and was hired. That was back in May 2015. The results of the 2016 presidential election caught many by surprise. With the election of Donald Trump as the 45th president of the United States, and his immediate remaking of American policy through executive orders, public and academic librarians began to mobilize. From book displays addressing resistance and inclusivity, to graphics proclaiming that all are welcome in the library, to topical LibGuides, to online groups organized by discipline or principles, library staff and supporters across the country joined forces with like thinkers to do what they do best: share information where it’s most needed. Six months after librarian Valerie Pfister was told by administrators at Louisville Free Public Library that wearing a preferred pronoun button was a dress code violation, the library has honored its promise to list preferred pronouns on the library-issued name badges of any employee who requests it. The library also agreed to update the city’s Transgender 101 training with Pfister’s help, and offer it to any library employee who wished to take it. In the weeks since the 2016 presidential election, librarians across the United States have taken actions to foster dialog, confront intolerance, and reaffirm public libraries as safe spaces for all patrons. Whether as a reaction to the need to initiate community conversations or as a response to incidents taking place within the library, library employees are looking at ways to get people talking—and listening. From the run-up to the 2016 presidential election to its aftermath, incidents of hatred, anger, and intolerance have been on the rise across the country and beyond. Academic libraries have been the sites of several incidents, as have schools. Even public libraries, generally thought of as safe spaces for their communities, have not been immune. What can we do? This has to be one of the most commonly asked questions in America—even before the recent presidential election brought a wave of hate crimes more pervasive than the one that followed the September 11 attacks. The ongoing impact of bigotry in America is, perhaps, the quintessential “wicked problem.” A legacy of housing discrimination continues to shape neighborhoods—and how they are served by schools, police, and, yes, libraries—to this day. Studies continue to show implicit bias along lines of race and gender that impacts hiring, promotion, compensation, and retention—and explicit bias is still with us. All of these factors feed one another, eluding simple solutions to any that leave the others out of the equation. The County of Los Angeles Public Library believes diverse programming begins with assembling a team of people from various backgrounds and cultures who can offer different perspectives, ideas, and out-of-the-box solutions that appeal to a wider swath of the population. 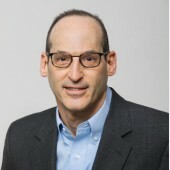 Diverse teams are helping to guide the organization toward its goal of reducing barriers and increasing access to the ten million residents (3.5 million in its designated service area) of the County of Los Angeles, itself a diverse group: 26.6 percent white, 9.1 percent African American, 48.4 percent Latinx, and 15 percent Asian. When youth specialist Mary Shortino at the Johnson County Public Library (JCPL), a suburban system near Kansas City, KS, read Tanner Colby’s Some of My Best Friends Are Black: The Strange Story of Integration in America (Penguin Bks. ), she got excited. About a quarter of the book is about Kansas City, where racial real estate covenants first began, and the specialist, who is in her 50s, remembered when the city’s schools were first integrated. Shortino pulled in Angel Tucker, youth services manager of JCPL, and the two went to see Colby speak nearby in Kansas City, MO. Colby’s response to meeting them, says Tucker, was, “ ‘I should’ve come to your library,’ ” and with that, a collaboration was born. Librarianship, as a field, has a major diversity problem. According to the American Library Association’s Diversity Counts, in 2009–10 (the most recent year for which we have numbers), 85.2 percent of credentialed librarians and 72 percent of library assistants were white. Two years ago, St. Paul faced a similar problem. Citywide, the workforce was 82 percent white. Yet the city population is only 60 percent white, and the school age population, 22 percent white. As higher education grows increasingly more aware of the need to diversify its workforce, academic libraries are developing new strategies to lower barriers in hiring and retain librarians from a wide range of ­backgrounds. Police bias against people of color, particularly black people, has been one of the most heated issues of the past few years, with killings by officers of unarmed black people in cities across the country serving as the impetus behind the formation of the Black Lives Matter movement. Some might think there’s not much role for libraries in fixing this problem, beyond helping users find reliable data and texts that address it. The first placements and salaries after completing library and information science (LIS) programs reported this year provide a snapshot of a healthy job market characterized by rising salary levels and work that calls for both traditional and non­traditional skills and roles. The LIS profession is expanding into unexpected venues. As we did last year, we focused on whether graduates were employed in the LIS field or outside of it. Details on jobs and pay for 2015 LIS grads, broken down by region, type of role, school, and more. 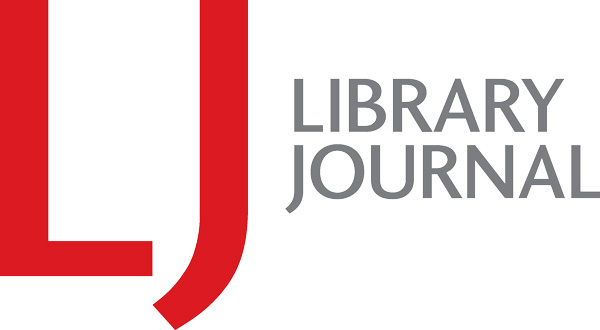 LJ contacted 51 accredited library and information science (LIS) schools in the United States and offered each the opportunity to participate in the survey. Deans, Directors, and Chairs: If your school did not respond fully, now is the time to get started on the next survey. The 2016 one-day conference of the Library Association of the City University of New York (LACUNY), “Race Matters: Libraries, Racism, and Antiracism,” held May 20 at Brooklyn College, was ambitious in scope and informative in practice. Speakers, panel discussions, facilitated dialogs, and round tables took a broad look at academic librarianship through a lens of critical race theory, examining issues of race as they exist in the larger system of social and economic control, and—with the enthusiastic participation of attendees from across the United States and Canada—investigating ways to effect change in ways both large and small. North Carolina’s adoption of the so-called “bathroom bill” (House Bill 2, also known as the Public Facilities Privacy and Security Act) on March 23 has been rightly denounced for building bias and discrimination into state law and barring cities from extending protections for transgender individuals. It should go without saying that wholesale bigotry against members of a group is unacceptable and unconstitutional. This legislation is a travesty and an assault on our civil liberties. New to her position as a comanager of Learning Experiences at Skokie Public Library (SPL), Amita Lonial dove right in and “ramped up our programming by 50 percent,” she says. Lonial brings to the job her passions for social justice and community engagement. Dig through these tables to discover the details about where 2014 LIS grads are landing jobs, at what salaries, and in what kinds of roles, or see the full feature for all the analysis. Library and information science (LIS) graduates are finding their place in a market that demands creativity, flexibility, and a solid set of LIS skills that represent the profession’s foundations and future. This year’s list of job titles reflects ones we know well from the bedrock of our field (children’s librarian, reference librarian) and those that are less familiar from the frontiers ahead (content strategy consultant, data steward). However, familiarity can be an illusion. In many cases, jobs with the same title list very different sets of job responsibilities. Answering this challenge requires job seekers to identify desired skill sets very carefully and to consider jobs with unfamiliar titles. Future job seekers may want to consider this competency-based approach when conducting their job search. Attendees of the 2015 ALA Annual Conference added their favorite diverse book suggestions to 3M's heart-shaped display made of rainbow-hued Post-it notes. The We Need Diverse Books (WNDB) Booktalking Kit is now available for download. The diversity gap in children’s books and publishing isn’t new, but 2014 saw it confronted with unprecedented energy. A group of authors for children and teens together assembled a virtual call to arms that is likely to influence the face of publishing for years to come. The new WNDB Publishing Internship Project will help support initiatives that give greater opportunities to individuals from diverse backgrounds who wish to begin careers in publishing. “Luck, patience, and positive attitude” were the keywords for members of the 2013 graduating class. Once again graduates reported both positive experiences and challenges in the search for employment inside and outside of the library and information science field. The overall average starting salary improved 2.6%, moving above $45,000 for the first time, to $45,650. Other pointers toward an improving job market were revealed in a decline in the rate of unemployment, dropping to 4.3% of those reporting employment status, and an increase in the rate of permanent professional positions, 69.6% of the job placements in 2013, up from 61.2% in 2012. The length of the job search appeared slightly shortened with an average search of 4.2 months, ranging from 3.6 months in the Southwest to 4.7 months in the Southeast. We received responses either through the institutional survey or individuals representing 40 of the 49 LIS schools surveyed in the United States and from 2,023 of the reported LIS graduates. Response rates varied among the programs, ranging from less than 1% of reported graduates to 83%. Approximately 44.3% of graduates from the participating LIS programs responded to the survey. 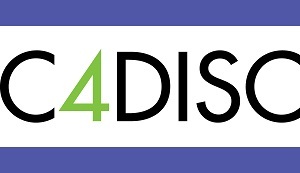 DEANS, DIRECTORS, AND CHAIRS: If you are a faculty member or a director and your school did not respond fully, now is the time to get started on the next survey. GRADUATES: If you are a 2014 graduate, make sure that your institution has your current email and mailing addresses. Ask to be included in the LJ Placements & Salaries Survey of 2014 graduates. If your institution has chosen not to participate you can still do so by contacting the author. 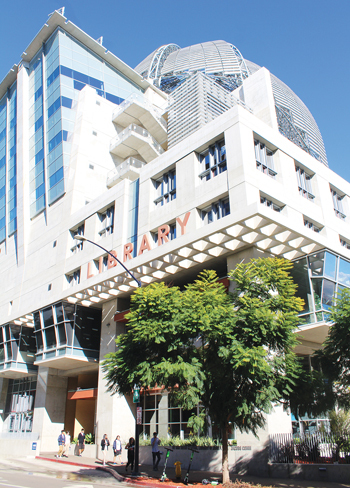 Public libraries continue to see positive growth and opportunity. In 2013, nearly 24% of the reported placements were in public libraries, up from 18.7% in 2012. In 2013, approximately 9.8% of grads who sought employment in academic institutions accepted positions in departments outside of the library. In addition, 23.6% of this year’s new professionals were hired as academic librarians, up from 21.2% in 2012. Placements at special libraries (4.0%), government libraries (1.9%), and LIS vendors (1.4%) held steady in 2013. Salary gains and losses only tell a portion of the placement story for the graduating class. Of the 2,023 graduates responding to this year’s survey, approximately 81.4% said they were employed. This was down slightly from the 2012 class, however, 66.9% of those employed were in a permanent, professional position, up from the previous year’s report. Reports of jobs defined as temporary or contract positions declined. Graduates accepting positions outside of LIS increased. Salary growth for the 2013 graduating class, while not soaring, made a positive move of 2.6% from $44,503 in 2012 to $45,650, finally breaking through the $45,000 barrier. There is no denying that location is everything in achieving higher than average starting salaries for new LIS grads. Once again average salaries in the West outpaced the other regions by an average of 28.7%, though they did not have the same meteoric rise as previous years. Salaries for women mirrored the same growth rate of 2.6% as the overall starting averages, while men’s salaries grew at a slightly higher acceleration of 3.5%. Minority status more closely matched the other salary and placement trends identified for 2013 than it has for some time. In previous reports graduates self-identifying as members of minority groups earned higher average salaries than all of their counterparts. In 2013, this trend reversed when minority grads reported salaries 2.6% less than the overall average. Details on jobs and pay for 2013 LIS grads, broken down by region, type of role, school, and more. Dig through these tables to discover the details about where 2013 LIS grads are landing jobs, at what salaries, and in what kinds of roles, or see the full feature for all the analysis. Over 300 people attended the #WeNeedDiverseBooks panel on May 31 held at New York City’s Jacob Javits Center as part of BookExpo America’s consumer-focused BookCon event; the session was added late to the program after the grassroot campaign’s hashtag went viral following its launch, eliciting more than 162 million tweets since May 1. With Book Expo America (BEA) just one month away, one of the publishing industry’s biggest events is in hot water with readers and writers alike as the company has been taken to task in recent days for assembling a list of guests at the consumer-centric May 31st BookCon event that consists of 30 white writers and one Internet-famous cat. The lack of diversity drew fire on social media, where readers, writers, and book critics have weighed in on the pallid lineup as a symptom of larger problems the publishing industry has in addressing diversity. The Public Library Association (PLA) Conference comes around every other year, but that long wait may make it all the more special to attendees, many of whom described the biennial gathering as their favorite library conference. Held in Indianapolis, this year’s conference brought together librarians, publishers, authors, and vendors for three days of programming with a focus on issues like collection development, finding partners to help increase the impact of programs, and reaching out to patrons, especially those in underserved communities. The real achievements for the 2012 library and information science graduating class came in the form of emerging jobs and new responsibilities, according to the approximately 1,900 graduates who responded to LJ’s annual Placements & Salaries survey, representing 30.7 percent of the 2012 graduates from the 41 participating programs. Geography continues to play a key role in determining the level of salary new graduates can anticipate. Graduates landing jobs in the West fared the best: 2012 grads working in the West saw the average salary of $54,454 climb 9.3* percent above 2011 levels ($49,819) and seven percent beyond those achieved in 2010 ($50,792). This included healthy increases in salaries for public librarians (up 13 percent), academic librarians (up 7.2 percent), and school librarians (up 6.8 percent). Not surprisingly, many jobs in the West had an information technology industry focus, especially in the areas of user experience design and software engineering. After sifting through the numbers, the real stories of expectations are told through the words of the graduates. Many of their responses read like fortune cookies. LJ received responses either through the institutional survey or individuals representing 41 of the 50 LIS schools surveyed in the United States and from 1,898 of the 6,184 reported LIS graduates. The University of Michigan and the University of Texas at Austin prepared their own surveys. DEANS, DIRECTORS, AND CHAIRS If you are a faculty member or a director and your school did not respond fully to the 2012 survey, now is the time to get started on the 2013 documentation. There are three stages in the annual LJ Placements & Salary Survey. I have a gift for picking despised professional niches. I used to run institutional repositories, and if there’s a niche in academic librarianship more despised than that, I’m honestly not sure what it might be. From the frying pan into the fire—now I teach library school. If nothing else, I’ve greatly expanded the universe of librarians and archivists who despise my work! Before deciding librarianship is right for you, make sure you understand what today’s librarians do all day. If you want quiet and lots of time to read, think again. Today’s libraries are full of collegial, and sometimes even downright noisy, collaboration, creation, and community activities, and are as much about technology as print on paper. Modern librarians need to be comfortable and conversant with technology, be willing and able to speak in public, and possess people skills and a commitment to lifelong learning, as the profession and the expertise necessary for success are constantly changing. African Americans and Hispanics are some of the strongest supporters of libraries, and yet they continue to be thinly represented among the ranks of librarians. It’s a familiar story and always a bad trade-off that hurts the profession and, more important, hurts our society. As the general economy continues its slow climb out of recession, this past year offered ongoing unemployment and stiff competition for jobs, especially for school library media specialists and reference librarians. However, despite erroneous media reports that library and information science (LIS) is a dying field, there were numerous bright spots and unprecedented gains, ranging from positive salary growth to increased numbers of placements in agencies outside of library environments, and an exciting array of descriptors available to students seeking work inside the LIS field and elsewhere. This year more than 2100 LIS graduates responded to LJ’s annual Placements & Salaries survey, representing 34.7% of the 2011 graduating class from the 41 participating programs. Specifics related to type of agency and job responsibility likewise offer other images and measures of professional achievement. “Challenges have been plentiful!” was the common refrain across the 2011 graduating class. As the general economy continues its slow climb out of recession, this past year offered ongoing unemployment and stiff competition for jobs, especially for school library media specialists and reference librarians. However, despite erroneous media reports that library and information science (LIS) is a dying field, there were numerous bright spots and unprecedented gains, ranging from positive salary growth to increased numbers of placements in agencies outside of library environments, and an exciting array of descriptors available to students seeking work inside the LIS field and elsewhere. Salaries for new LIS graduates exhibited healthy growth that was dependent upon multiple factors, including regional differences such as relative cost of living and population density, while longitudinal data indicates that region plays a role in salary levels. Details on jobs and pay for 2011 LIS grads, broken down by region, type of role, school, and more. In a year that brought highs and lows for many graduates, the salary gap widened again with a 14.9% chasm between women and men.